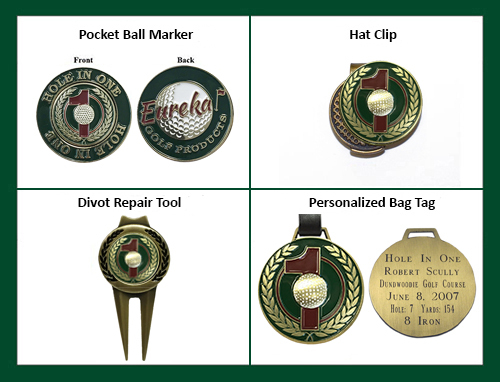 Commemorate your Holes in One or other special golf achievements with this custom crafted, made in the USA display that holds 6 golf balls and 6 engraved brass plates. Acrylic cover slides in from the top, and the display can stand alone or be hung from wall. Available in Cherry finish.